wonder where this staircase leads? We spent the night at Loew’s Portofino Bay hotel in Orlando, and these are pictures I took on my daily 30-minute walk after sunrise, except for the first one, which was the night before. The lighting is distinctly different! Also, we’ve been having a few days of seriously needed rain. As we discussed in a prior post, traveling makes you also notice and appreciate more about your own home and surroundings. 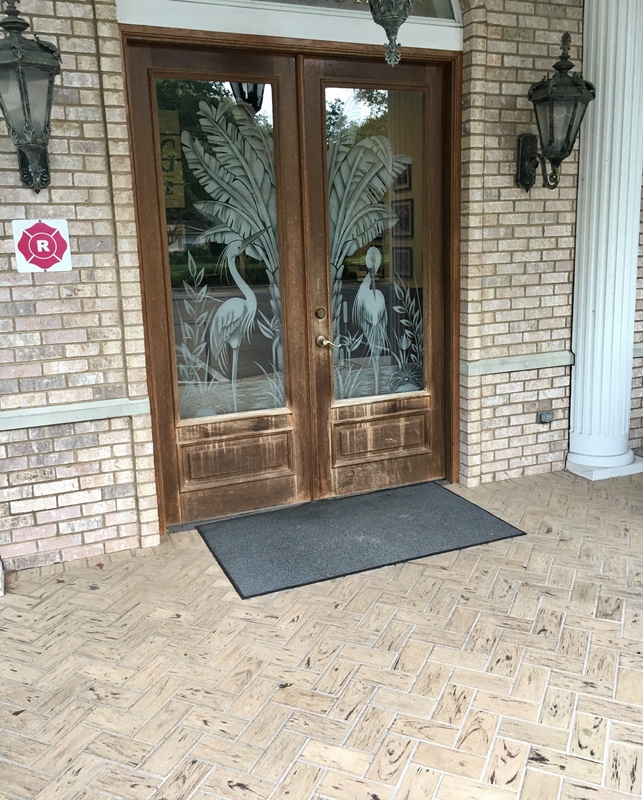 As I took my 30-minute walk this morning back at home in North Central Florida, I passed by this beautiful etched glass door on a professional office building I walk by every day, but I never really noticed it before!